Former Rational Services financial services employee Paul Tate became the ninth of 11 defendants in online poker’s infamous “Black Friday” series of indictments to be sentenced in a US court, receiving a time-served sentence and a fine of $119,000 on Thursday for his relatively minor role as a PokerStars employee, one that none the less put him under the spotlight of US investigative authorities. Tate, who voluntarily traveled to the US in July to face the charges brought in 2011 by the US Department of Justice, was sentenced by US District Judge Lewis Kaplan on a single charge of operating an illegal gambling business. That count carried a possible five-year prison term, though pre-sentencing guidelines dictated a more lenient sentence of zero to six months. Four additional counts were dropped as part of the plea deal. Tate had been allowed to reside in a New York City apartment since July, and was thus credited with serving four months. A pre-sentencing analysis done by Tate’s defense team noted that in 87 similar cases involving first-time, non-violent offenders who pled guilty, only four (less than 5%) actually received additional time beyond that already served. Tate’s pre-sentencing submissions also included more than a dozen letters of personal reference from business associates, friends and family. Tate, now 42, began working for PokerStars in 2006, in a different capacity, following previous stints at UUNet and Ongame. 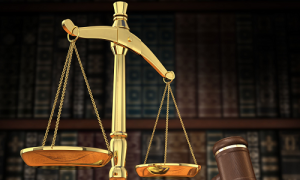 He only acquired responsibilities associated with the processing of online deposit and withdrawal transactions in 2008, after the departure of another employee. Tate was never a part of Stars’ or parent company Rational Group’s upper management, but had his name connected to payment processing activity deemed in violation of the US’s UIGEA (Unlawful Internet Gambling Enforcement Act) through his work responsibilities. 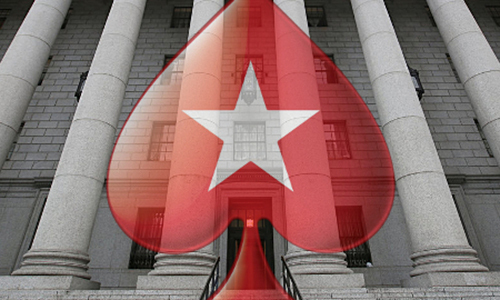 Whether the poker-only services offered by PokerStars were actually illegal under US federal law remains a topic of legal debate. However, Tate acknowledged that his own actions violated US law as part of his plea deal. “My family and I have paid a heavy price for this conduct,” Tate told US Magistrate Judge Barbara Moses at a plea-deal hearing last month. Tate’s plea deal leaves only two of the original 11 Black Friday defendants with charges pending, and both remain outside the reach of the US’s law-enforcement officials. Billionaire Isai Scheinberg, the co-founder of PokerStars, has at times been the topic of rumors suggesting negotiations or a possible plea deal. However, nothing has come of those rumors to date. The other remaining Black Friday defendant, former Absolute Poker CEO Scott Tom, remains in open hiding on the Caribbean island of Antigua. Tom, of course, participated in additional misdeeds, being the primary person behind the insider-cheating scandal that rocked the site in 2007. The value of that blatant cheating episode, however, seems small compared to the hundreds of millions of dollars in operating capital and corporate profits that Tom’s inside clique stole from a long list of corporate investors, not to mention the millions of dollars in bankroll balances never refunded to AP’s players when the site collapsed following the April, 2011 Black Friday indictments.